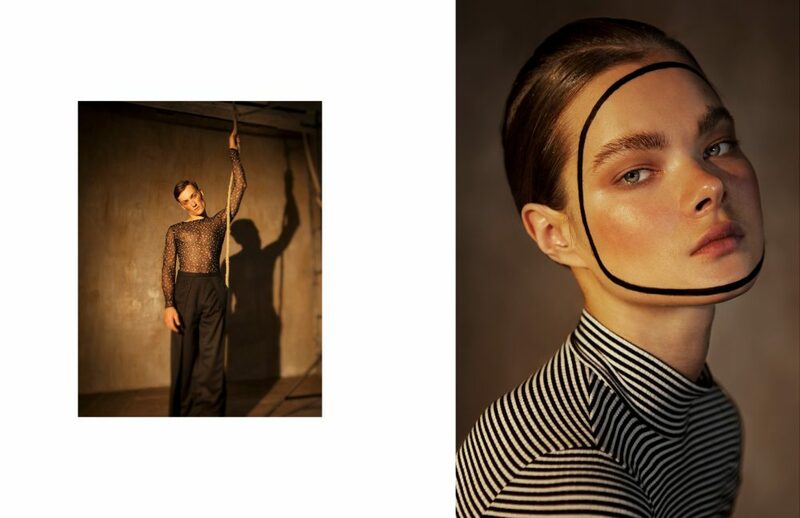 Photographer Tatyana Nagaeva brings to life a palpitating pageant of pulchritude and pantomime, sans pachyderms, in this Schön! online editorial. 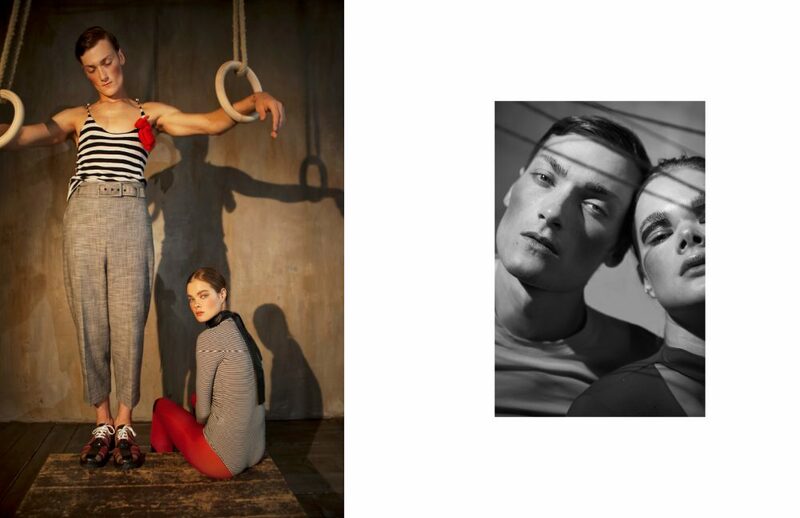 Channeling circus visions, fashion by Nika Shabashova sees models Anna and Anton clad in regal stripes, close corsets and opaque tights by the likes of Dolce & Gabbana, Ninel Shertvitis and Blank Moscow. Amidst aerialism attempts, hair and makeup by Tatyana Kaya provide the spectacular retro show feel to the bazaar scene.